If you hate doing dishes, you'll probably love them too. There are few tasks in life I hate more than washing dishes. But since I love to cook, my boyfriend and I end up wasting hours on the mundane chore every week. Sadly, our kitchen needs a massive remodeling before we install a dishwasher, so until that happens, we’re stuck doing dishes daily (sigh). In the meantime, I’ve found one little trick to help occasionally speed up the process: slow cooker liners. Every few weeks, I break out my Crock-Pot and whip up my mom’s scrumptious meatball recipe. Growing up, my mom never used slow cooker liners, so when I started cooking in my own Crock-Pot, I didn't see the need to use them, either — until I saw firsthand what a saucy mess meatballs can make. After two times, I was already sick of cleaning up the mess and realized I had to find some way to minimize cleanup time. Since I'd heard about slow cooker liners before, I figured they were worth a shot. So, I picked up a pack at a local discount store. Call me crazy, but I was initially worried that the plastic liners would somehow make my meatballs taste like plastic. I was soon proven wrong, though, when they turned out just as delicious as usual. Using the liners is easy. Just pop one in the Crock-Pot, fit it around the edges and dump in the food. The best part is I don't have to clean out my Crock-Pot afterwards! I just wait for the liner to cool a bit, toss it out and call it a day. 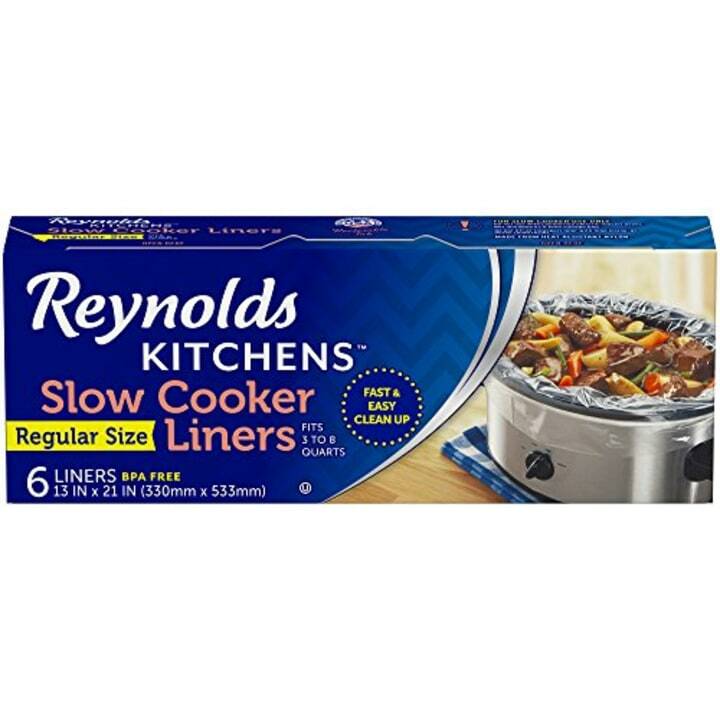 Since finishing that first pack of liners several months ago, I've started using some from Reynolds that I bought on Amazon, and they're great. Each pack comes with six liners and at $4 they quickly pay for themselves with all the time I save in cleanup. Time is money. For someone who grew up not having to do dishes — aside from holidays — slow cooker liners are a true lifesaver. They let me cook a delicious meal without whining about doing dishes — win win!